After working as both an artist and in the fashion industry, Central Saint Martins alumni Han Chong founded Self-Portrait in 2013. The Malaysian designer’s standout pieces – in particular the signature Azalea dress – quickly became a red-carpet go-to, in particular for the Duchess of Cambridge. A contemporary femininity runs throughout the label’s collections, with signature details including eyelet lace, ruffles and sheer panels. The effortlessly elegant dresses, striking jumpsuits and sophisticated separates are perfect for special occasions, from parties to weddings. 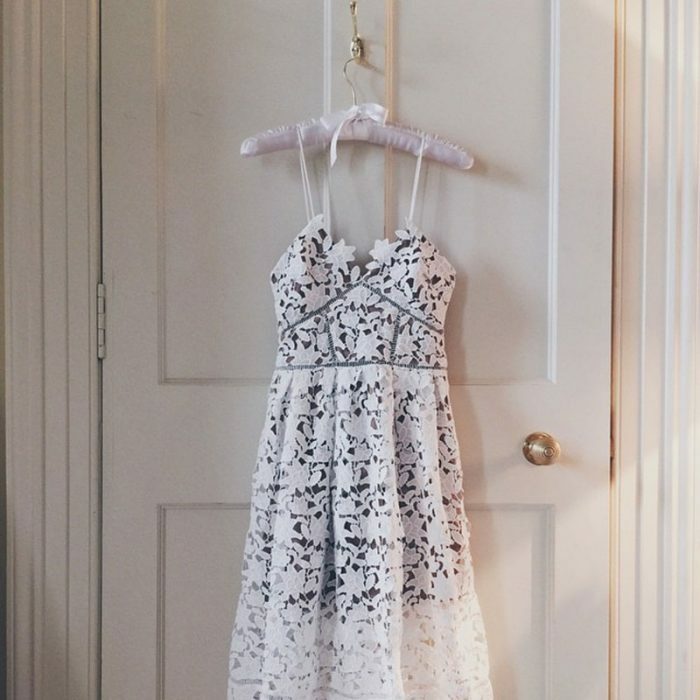 Made from the label's signature guipure lace, Self-Portrait's best-selling 'Azaelea' dress in white is an elegant choice for weddings, cocktail parties and other seasonal events. This piece has intricate lattice trims positioned to flatter your bust and waist. The sand tulle lining offers complete coverage.